Consumer and enterprise requirements from mobile devices are often very different. While customers may prefer sleek looking mobiles and tablets made from slabs of glass, many businesses require devices which can withstand a healthy dose of abuse from harsh working conditions. Samsung makes ‘Active’ line of devices to specifically target such businesses operating in physically challenging business environments. 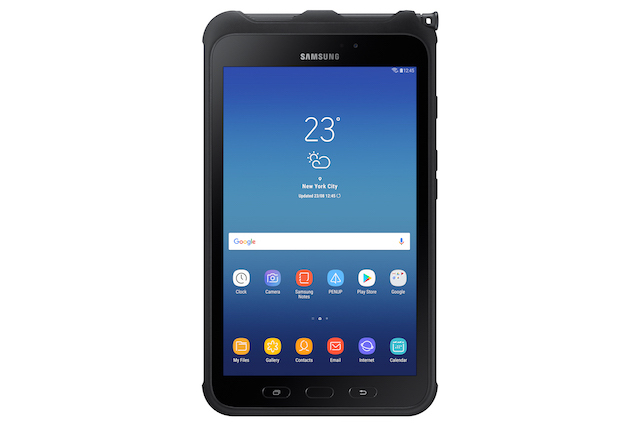 In October last year, Samsung launched its ruggedized Galaxy Tab Active 2 in select markets. Today, the company is launching the same in the US. The device is built to be durable and can handle extreme temperatures and wet environments without compromising on functionality. The Galaxy Tab Active 2 is MIL-STD 810 certified signifying its ability to withstand excessive pressure, temperatures, vibrations, and drops. It is also IP68-rated for water and dust resistance. The tablet comes with physical buttons to enable easy operation when wearing gloves. 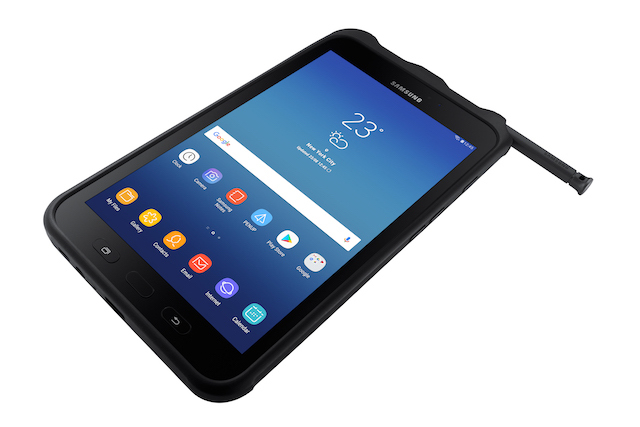 The tablet comes with worker-friendly features such as ruggedized S Pen, LTE connectivity, replaceable battery, pogo pins for convenient charging, high-resolution camera, enhanced touch sensitivity, and facial recognition, etc. Since the tablet is targeted at businesses, it also comes with all the Samsung Knox features to enable IT administrators to customize the device for their work requirements. The tablet supports many applications specifically designed for fleet management in the trucking industry, asset management, factory automation, retail scanning, etc. As far as the specifications are concerned, The Galaxy Tab Active 2 features an 8-inch display of 1200×800 pixels, 3GB RAM, 16GB internal storage with a microSD card slot, Exynos 7880 processor clocked at 1.6 GHz, 8-megapixel rear camera and 5-megapixel front camera, and Android 7.1 Nougat.